Bariatric surgery is a big step in the right direction for substantial weight loss. However, surgery alone isn’t enough to ensure long-term success. 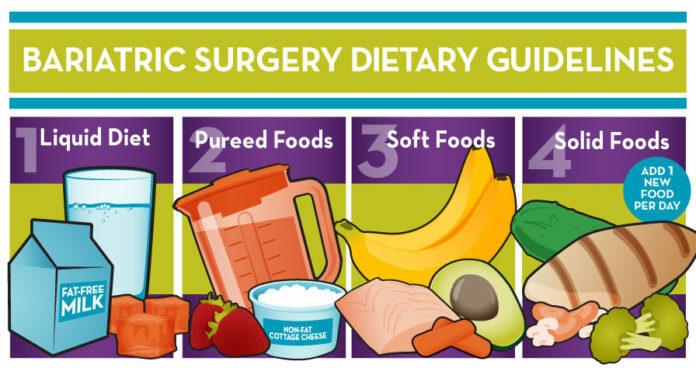 Adhering to a proper bariatric diet before and after your surgery is key to an optimal patient outcome. Your Baptist Health surgeon will discuss with you the particulars of your individualized pre-op and post-op diet. But the guidelines below will give you a good idea of what to expect prior to and following bariatric surgery. In most cases, bariatric patients will follow a liquid diet for a week or two leading up to surgery. While this diet may be difficult at times, the importance of staying on the pre-op diet cannot be overstated. The purpose of this pre-op diet to is to reduce fat around the liver so that your surgeon can see and navigate your anatomy during the operation. Should you decide to violate the diet plan, surgery may be delayed or canceled intra-operatively (during the procedure). Now is not the time to binge or indulge in one last hurrah. You’ve likely waited six months to a year to be approved for surgery, and failing to comply with your pre-op diet will set you back. It’s just not worth it in the long run. No caffeinated or carbonated beverages. Sip beverages and liquids slowly. Wait at least 30 minutes after a meal before consuming any liquid. Protein and meal replacement shakes will comprise the bulk of your pre-op diet. Soup broth with no solids may be consumed. Vegetable juice, but not fruit juice, is permitted. Extremely thin cream of wheat or cream of rice can be eaten. If your surgeon or practitioner approves, one or two daily servings of lean meat or vegetables may be allowed. Once your operation has been performed, your stomach will need to heal. What and how you eat will be a determining factor in how well and how quickly you recover. Your post-op diet will prevent your stomach from stretching and putting undue stress on your body. It’ll also help you get used to eating smaller amounts, help with initial weight loss and help avoid side effects and complications from surgery. The first five weeks after surgery will be the most vital and the most challenging. Your post-op diet will unfold in stages until you’re able to tolerate solid foods. Establishing a new, healthy diet will be integral to maintaining weight loss success throughout the rest of your life. During this stage, you will eat foods that have the consistency of a smooth paste or thick liquid. You’ll still want to consume high amounts of protein and the recommended daily 64 oz. of water. 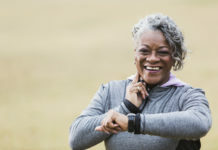 Multiple small meals throughout the day will be substituted for three larger meals, due to the diminished capacity of your post-surgery stomach. Once you’re able to tolerate soft foods, you may begin integrating firmer foods into your diet. You’ll want to chop or dice foods and start slowly to see how your body responds. It’s recommended that you only add one new food per day to accurately assess your body’s reaction. You may find that you have difficulty with dairy products or spicy foods. At each and every stage of this diet, you’ll want to keep a few things in mind. Be sure to eat and drink slowly, keep your meals small, drink plenty of water between meals, chew thoroughly, focus on high-protein foods and avoid foods with high fat and sugar content. Again, the above guidelines are just that: guidelines. Your surgeon and/or provider will develop an individual plan for you to follow. The important takeaway is that you stay with your plan, however your doctor designs it, to get the most out of your bariatric surgery. Learn more about Bariatric Care & Weight Loss Management at Baptist Health.